Why do the Rich Support the Arts? Why exactly do rich people give money to the arts? If you think about it, the two are strange bedfellows: wealth usually begets conservatism while the arts tilt overwhelmingly liberal. Granted, there are certainly rich liberals, but I think there’s more to it than that—after all, some of the biggest arts donors in the USA are also some of the biggest backers of the Tea Party, and red states are significantly more philanthropic than blue ones. Why would conservatives give money to liberal causes like art? You could simply say that rich conservatives support art because some of them enjoy art. Or, that since the rich have the most money, donors will by definition come from that group. But that’s an incomplete answer, and it doesn’t match what we see in philanthropy statistics. Among high net worth donors, the arts is the #3 most widespread category in terms of charitable giving, just after education and basic needs—but ahead of health and religion. For non-wealthy donors, religion is the #1 most common recipient and art doesn’t make it into the rankings. Clearly, the motivations for philanthropy are complex and varied, but generally speaking the arts are more appealing to rich donors than to the average person. Why is that, and what does it tell us about fundraising? Artists often put forward the flattering explanation that careers focused on generating wealth are inherently unfulfilling, that art is highly fulfilling, and that therefore philanthropy is a way to live vicariously through an artist’s work. This explanation has an element of truth but it misses the big picture. Yes, art does hold special status for humans, and it has been intertwined with the other “special” vocations—religion, magic, medicine, and a few others—since its appearance in the archeological record. More specifically, art is a mechanism for strengthening bonds between members of a community. We’re hardwired to believe the feelings that art stirs within us, and to believe them very strongly. Art draws us to others who feel strongly about art and makes us more willing to sacrifice our own personal gain to meet the common goals of the group. This social cohesion in turn rendered our art-loving ancestors better suited to survival, and despite our societal advancements over the past 30,000 years, the specialness of art remains. 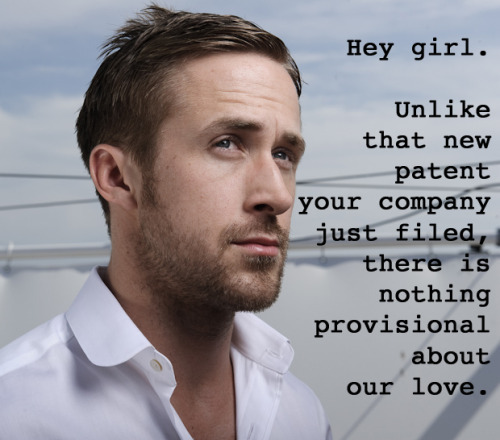 It’s why people still go crazy over the Ryan Goslings, Maria Callases, and Andy Warhols of the world. That said, if art held a monopoly on fulfilling experiences, everyone would be an artist. The success of the human species lies not only in our love of art but in our ability to enjoy specialization: I like hunting mastodons but you don’t like dragging your feet across the Savannah all day, and you enjoy setting gazelle traps but I hate sitting around and waiting. Yes, there ARE people who actually enjoy careers in accounting, inventory management, and compliance consulting whether or not the artists want to believe it. They’re not all working just for the money. This would also explain why arts donors trend toward the grey-haired. Philanthropists are created through existential self-reflection, and this usually doesn’t happen until later in life (with a few notable exceptions like Mark Zuckerberg). Well-to-do 20-somethings will gladly pay for VIP passes, kick in toward a crowdfunding campaign, help you put together a patent application for an earth-shattering new idea, or embark on a joint business venture. Those are the models that resonate with their current life goals. Conversely, they’re not going to fund your theater company just to feel good about supporting the cultural richness of the community. Because that doesn’t make them feel good—not yet anyway. It’s possible that some rich people give to the arts because they’re spending someone else’s money: trophy wives or husbands who don’t have an independent professional career might involve themselves in philanthropic causes, funded by the family breadwinner. This is probably less the case today than it was 50 years ago, however, because dual-income households are now the norm, and societal preference has shifted such that people tend to choose spouses with similar levels of accomplishment. The larger trend is probably toward collaborative donations by power couples. Three of the top five donors in 2012 fell into this category: Facebook’s Zuckerberg with his pediatrician wife Priscilla Chan (#2), John and Laura Arnold (retired hedge fund magnate and oil industry CEO, respectively, #3), and Sergey Brin of Google with wife Anne Wojcicki, cofounder of genetic testing company 23andMe (#5). So to the extent that trophy spouses are bolstering philanthropy, it would have to be in the mid-range donation level, not at the very top. I can see one spouse championing a cause and the other allowing him/herself to be dragged along for the sake of not rocking the marital boat. But there would be limits. The lukewarm spouse might not flinch at having to bankroll a “vanity” donation of $50,000, but $5,000,000 would be a different story. A conflict in philanthropic priorities within a relationship might explain why the arts is the third most popular category among wealthy households but captures very few of the largest individual contributions. A $1,000,000 endowment to an orchestra or opera company is less realistic unless both spouses are onboard. But if a lot of rich couples have just one arts supporter among them, then it’s not unfathomable to expect the arts philanthropy landscape to include a large number of less substantive contributions. And in fact, statistics for high net worth philanthropy back up this idea (PDF): the average arts contribution per HNW household is just shy of $4,000/year. Compare that to education, which averages almost $19,000/year per household. Seven out of ten HNW households donate to the arts, vs. eight out of ten to education, yet the difference in average donations between the two categories (looking at only the households that actually contribute) is more than fourfold. It should come as no surprise that the rich give to nonprofits for the tax benefits involved. They get to support causes they care about and lower their tax bills at the same time—who wouldn’t want that? Indeed, there was a large uptick in the amount that US donors bequeathed to community foundations in 2012, because of fear that Congress might cut tax breaks for charitable donations the following year. Clearly tax breaks matter, and artists would do well to push for bigger and more wide-reaching incentives for arts philanthropy. Sociological research on philanthropy comes to a similar conclusion: we give most to the causes we’re most exposed to. It makes sense that the wealthy, who can afford to consume art regularly, would be more inclined to donate to the arts than the average Joe. It’s something that they know about, or that their friends know about, so when they decide that they want to give back to the community, the arts readily come to mind. After all, seven out of ten HNW households contributing to the arts doesn’t happen by accident. Countless numbers of worthy causes make demands for those same charitable dollars, yet almost three quarters of wealthy donors are consistently including art in the mix. Presumably, this is because they’ve had time to develop a personal relationship with something artistic, and therefore arts philanthropy inspires a passion within them. I suspect there are also rich donors who support the arts as a form of propaganda: they believe that the art they like promotes a set of values that should be more prevalent in society. After all, promoting a specific set of values is basically what philanthropy is for, whether those values are “people shouldn’t have to live on the streets” or “we should try to cure terrible diseases” or “our society would be better with more art”. With that in mind, I doubt that strongly propagandist motivations like “we should create art that undermines Obamacare” are very common in our day and age. It didn’t work for the Soviets or the CIA, and there are more effective ways to do propaganda than commissioning subversive, Cold War–style art projects. Besides, why go through the hassle of calculating the cost-benefit of an anti-Obamacare ballet when you can just hand a check to American Crossroads and let their marketing guys do all the heavy lifting… or just wait for Fox News to do it? This isn’t to say that evangelism plays no role in arts funding, it’s just that propaganda is more likely to be of the milder “promoting civic morals” type. Remember, most people use art primarily to define their social groups: the pleasure we derive from certain art bestows an authenticity on the other people who also share our tastes. For the sake of maintaining our social groups, we all have an inherent need to make sure that the art we care about lives on. This is why teenagers rarely like their parents’ music, and conversely why oldies stations can turn a profit. It’s also undoubtedly one of the reasons why the rich perennially come back to arts philanthropy. People are not static things, after all, and our relationships with art grow and evolve over time. A donor that initially comes with a moderate interest in “promoting civic morals” through art could grow to embrace a more complex understanding of the form through repeated exposure. The philanthropy lives on, fueled by the donor’s deepening loyalty to the artform. It’s propaganda as a gateway drug. Traditionally, contributions to the arts were considered a source of prestige, and this encouraged philanthropy: you supported the symphony because you could, and all your peers would see not just how wealthy you were, but also how cultured and cutting-edge. This still holds true for donors that run with an artsy crowd, but culture is much more plural than it used to be. Today’s donors don’t just choose between the opera and the symphony, they also have to consider folk ensembles, period performance groups, chamber ensembles specializing in every type of repertoire, sound installations, music education for the disadvantaged, amateur initiatives, novel projects like the YouTube Symphony Orchestra, and a whole host of other worthy causes, just in the area of music. This serves to dilute not only the amount of funding available to any one cause but also the social standing of individual contributions. For the rich seeking prestige, an endowment for the ballet used to be a politically uncontroversial move. Today, that same donation could be met with indifference—or even outright derision, say, by someone who believes philanthropy shouldn’t be “wasted” on highbrow art when so many people still lack access to basic human needs. There’s less social bang for the charitable buck than there used to be. This phenomenon may be part of the reason that arts fundraising is increasingly tied to non-art social causes. It’s no longer enough to simply create great work; there must be some overarching message or tie-in that validates the expense. People can agree or disagree on whether supporting local theater productions is a good use of money, but who would argue against “creating awareness” for inner city poverty through theater? It’s a safer move for the philanthropist, or at least it seems that way. Efficiency: they want to contribute to philanthropy and this project seems to hit the most birds with the same stone (or gold brick). So how best to snag rich whales? The route most artists seem to take is the one that pairs art with some non-art social cause. This is dangerous though, because it inherently devalues the art. It sends the message that a play or a symphony on its own isn’t worth sponsoring, only when it promotes a “real” cause. Such an approach also discourages donors from developing a love of the artform itself, because they focus on the social cause instead of trying to appreciate the production for its inherent qualities. That’s not to say that there is some objective standard of good and bad art, but when we’re fixated on something other than quality (however we choose to define that term), it’s that much harder to develop personal opinions about what art we actually believe in. So while some great art will naturally address social issues, it needs to be great art first and a vehicle for social change second. When we start with the social issue, the result is mediocre art with a transparent moral agenda—and that serves nobody’s interests. Another common approach is to emphasize the quantifiable benefits of the arts. But given the increased plurality of the philanthropic space, this is not a strong argument. So what if the arts contribute however many billions to the economy? Or predispose children to do better in school? There are hundreds of other ways to achieve those same goals, and a rich philanthropist with no preexisting interest in the arts is more likely to choose a charitable cause that better aligns with his/her experience. You’re also not likely to get too far with impassioned pitches about how amazingly life-changing your project will be. That works for grant applications, where you’re already preaching to the choir and just need to come out ahead of the competition. But that inspiring speech about how your opera will transform our very understanding of the artform doesn’t hold water with someone who hates opera. The rich know there are a lot of good ways they could put their money to work, and if they were excited about opera they would have gotten involved with it long before you came knocking. You need to give them a reason to care more about your project than the things they’re already interested in. It seems to me that the best way forward is to cultivate an engaging and personally rewarding experience for the potential donor. It must be something that directly matters to the person, so that s/he can develop an intuitive belief in the importance of your art. Some philanthropists give advice like, “Don’t be afraid to ask.” But nobody likes to be panhandled. What they’re really saying is that they’re receptive to giving to causes that resonate with them. So how do you create engaging experiences for potential donors? The same way drug dealers do it. The first taste is always free, and you make sure they get the top-quality dope. Then you gain their trust: make yourself available when they need you (i.e. a shoulder to cry on), and show that you actually care about what they think and feel, that you value them as people and not just potential ATM machines. Slowly they learn about you and your art, developing their own personal connection along the way. Only then, once they’ve got some skin in the game, do you stick out the collection basket.